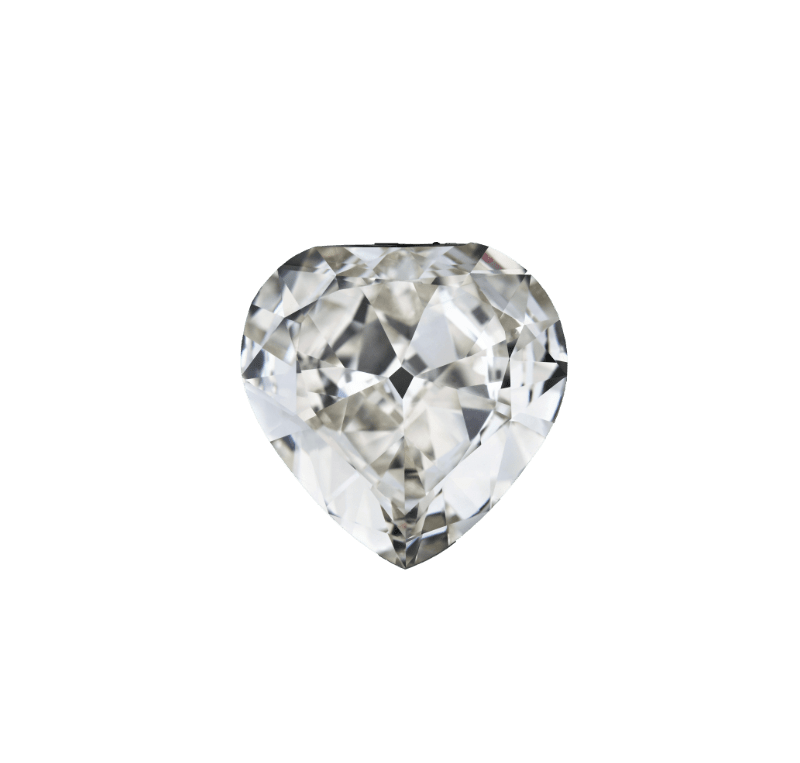 This is a very special diamond. 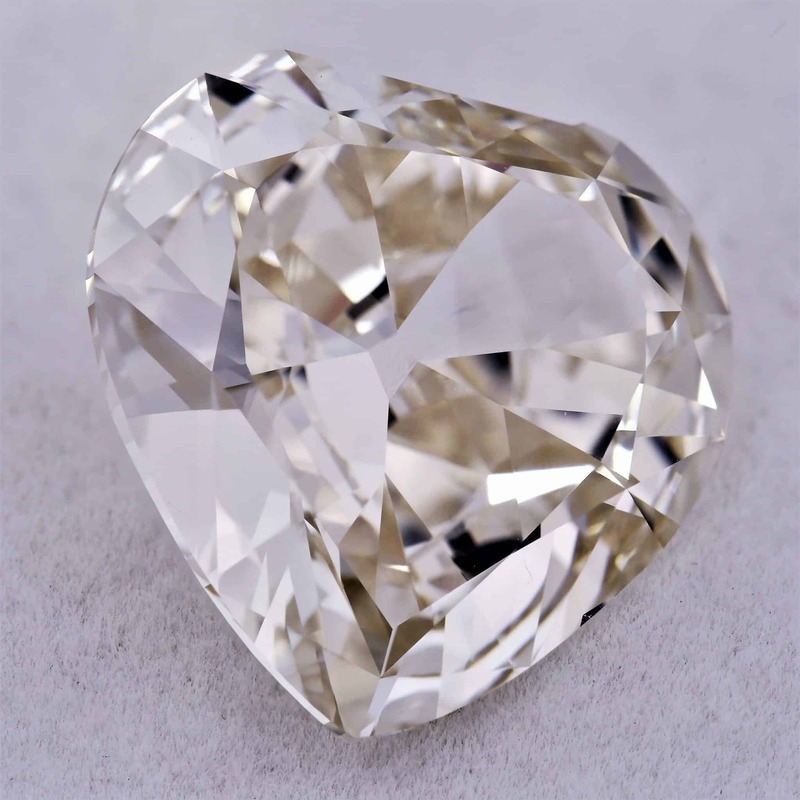 besides being an antique stone, it also exhibits a rare and unique phosphorescent effect, which means it glows green in the dark after being exposed to short wave ultraviolet light. 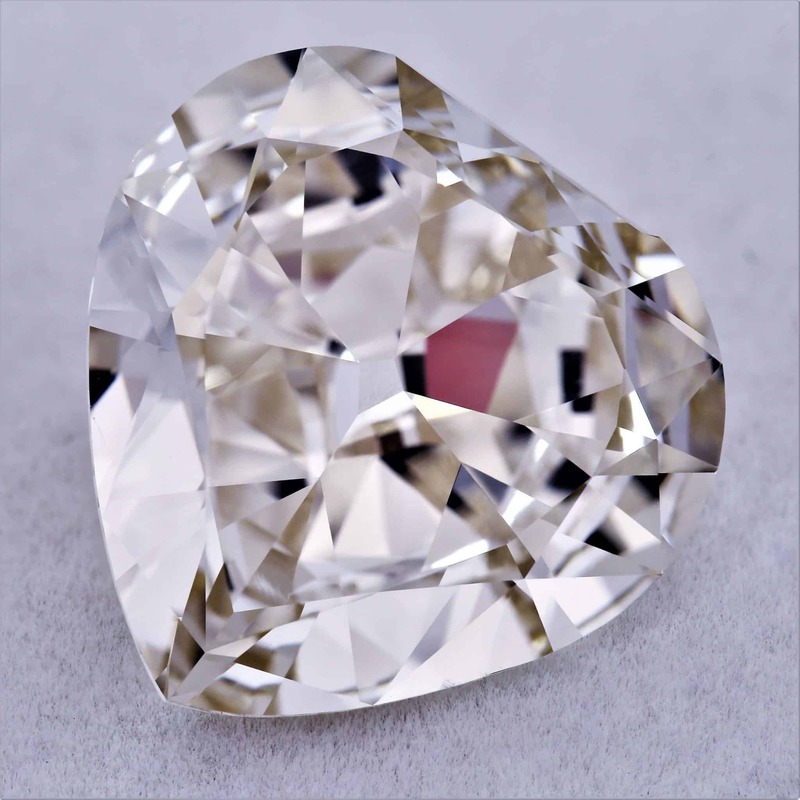 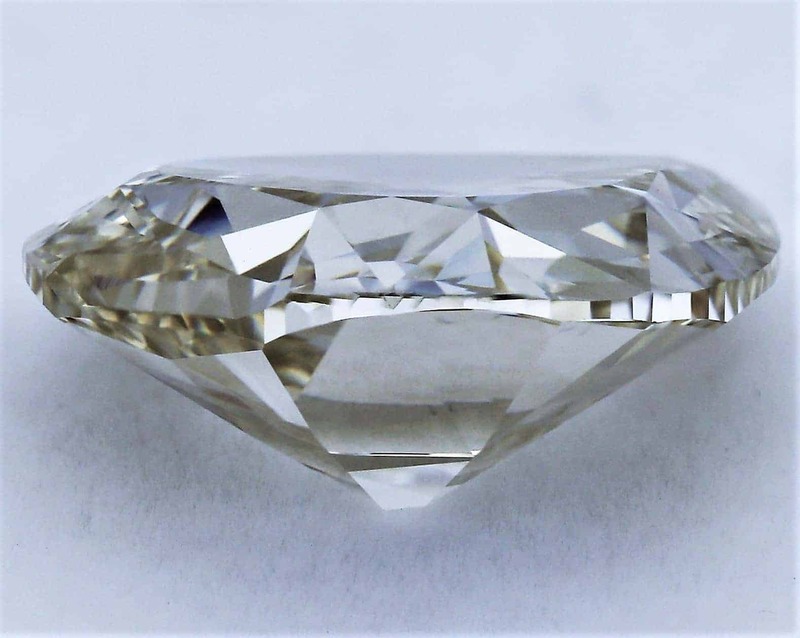 It is also a type2a diamond. 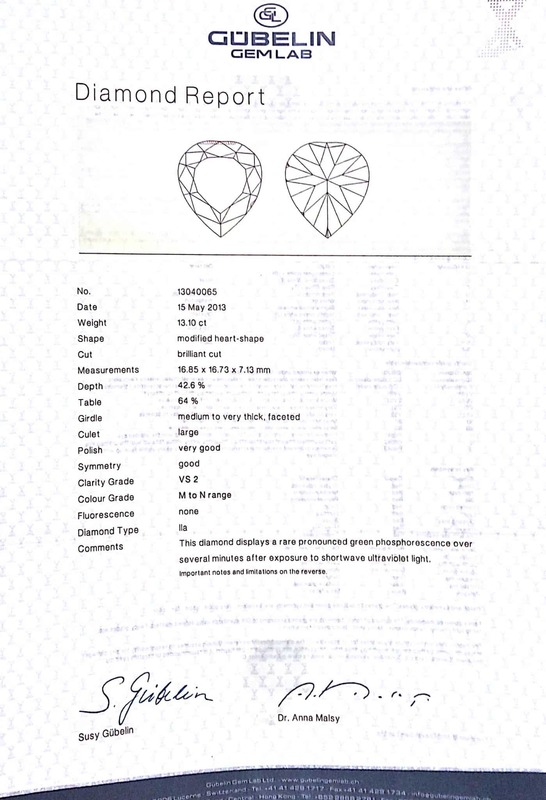 This kind of effect is very rare (as stated in the gubelin certificate below), and can also be found in the famous hope diamond, which glows red. 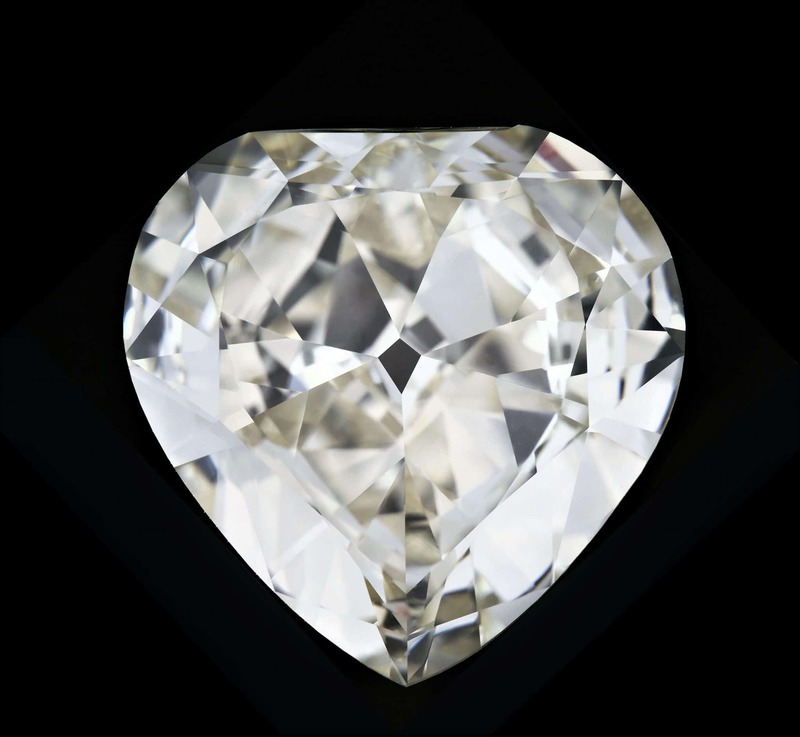 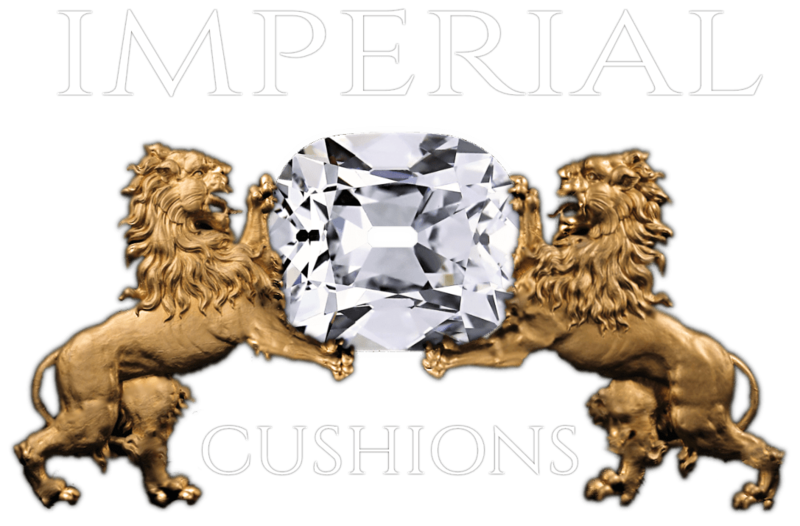 It is a magnificent stone with an exceptional shape that will compliment any setting.